Stand out from the crowd with live Jellyfish! Show Jellyfish at your event by renting one of our Jellyfish Aquariums. 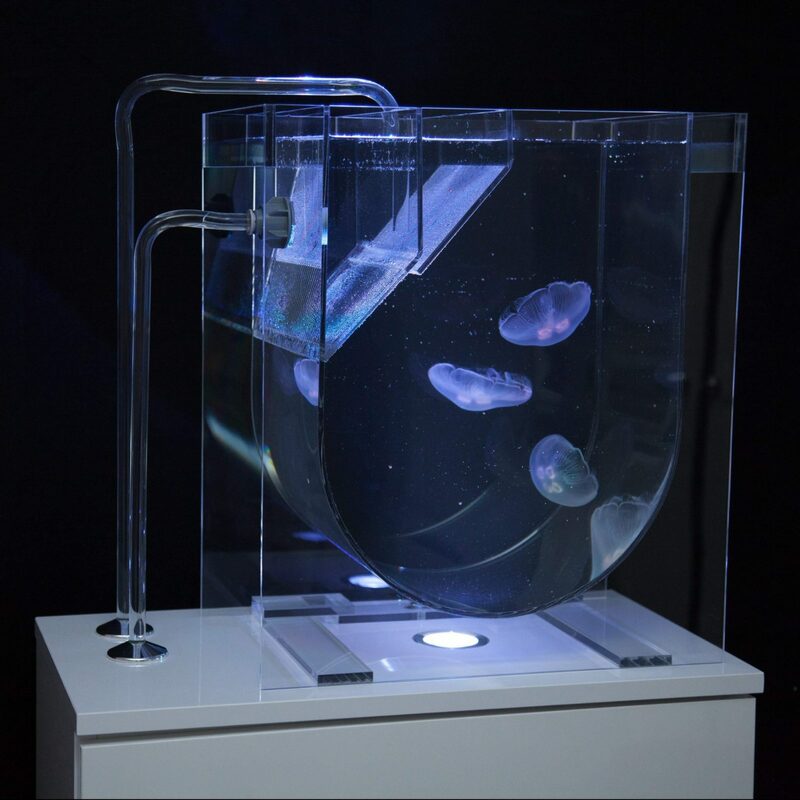 Stand out from the crowd with live jellyfish at your event. Beautiful aquariums and lighting to showcase these amazing creatures. 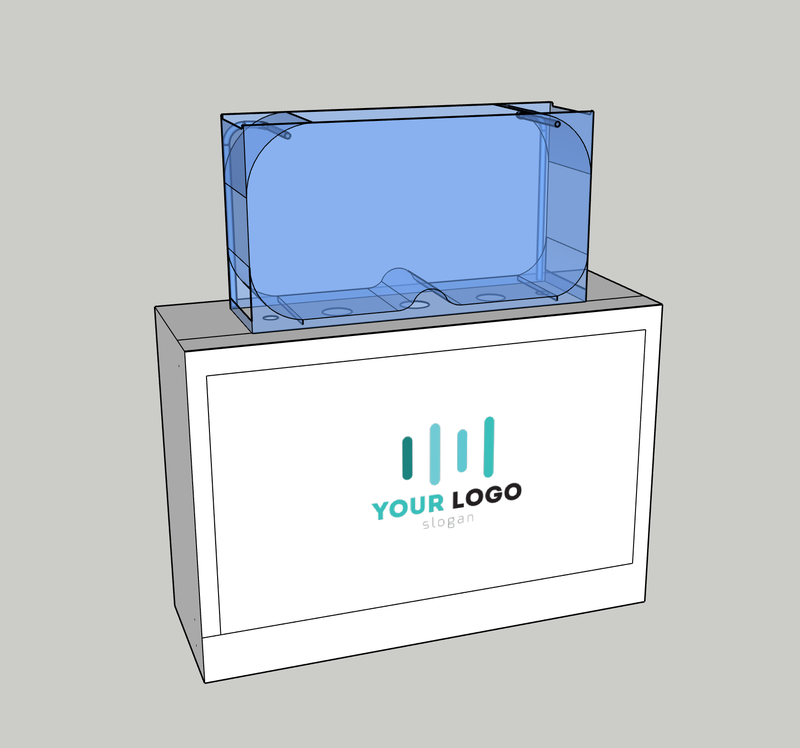 Draw potential customers to your stand or simply have something different to impress your guests. 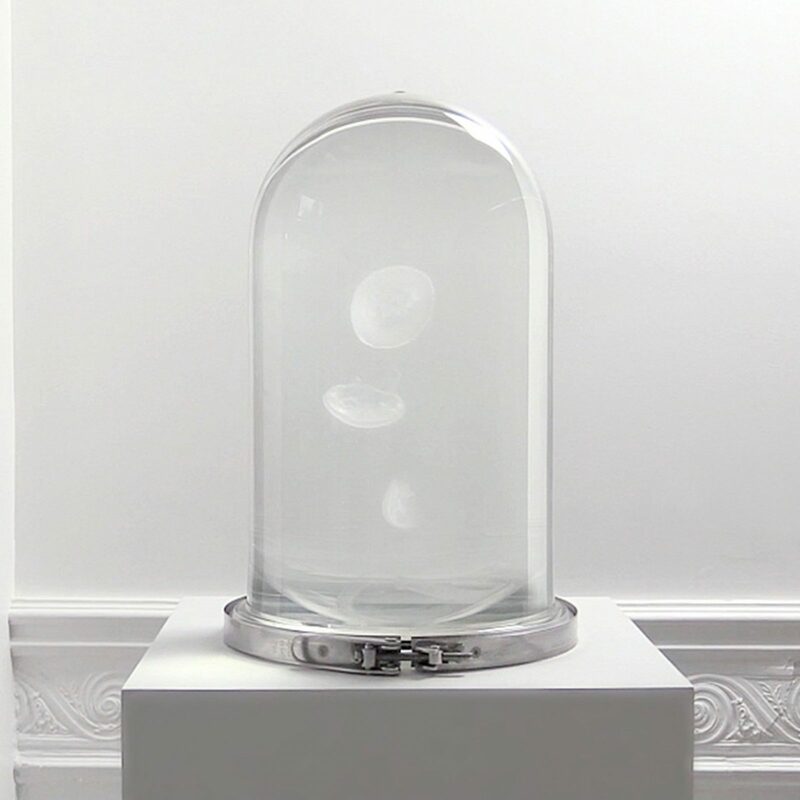 We’ve designed a luxury event only Jellyfish Aquarium to help you stand out from the crowd. 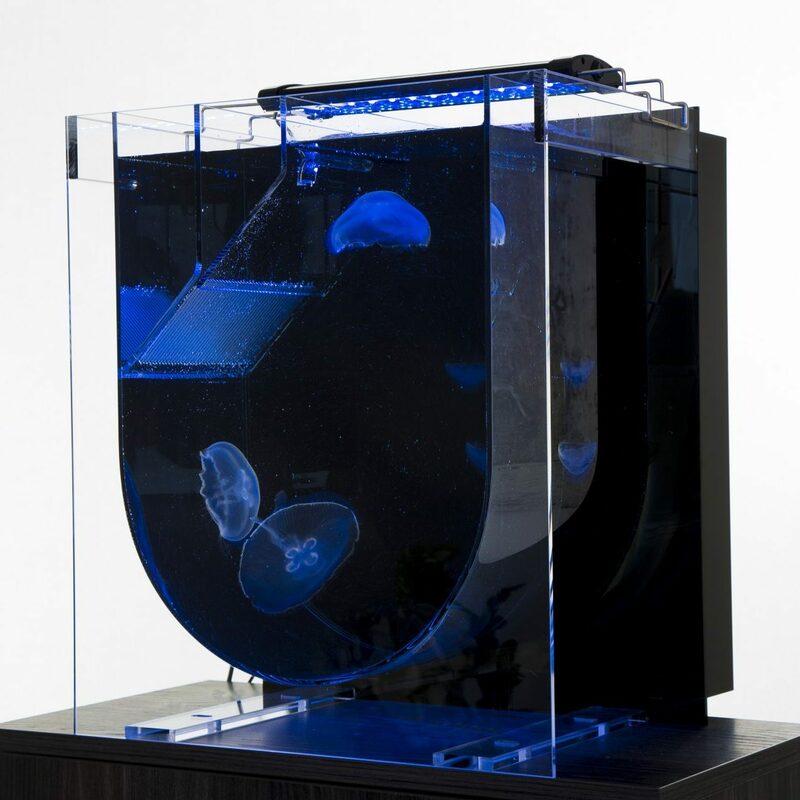 This large stretched tank holds 200 litres of water and has capacity to hold up to 50 Jellyfish. The Aquarium has been designed with a waterfall feature that will run down the outside of the tank. Coupled with three powerful LED lights this provides a beautiful effect which is unmissable. Under the tank a white gloss cabinet holds all the filtration and workings for a minimalist finish. An inbuilt HD screen provides you with the opportunity to add a personal message to potential customers passing by. 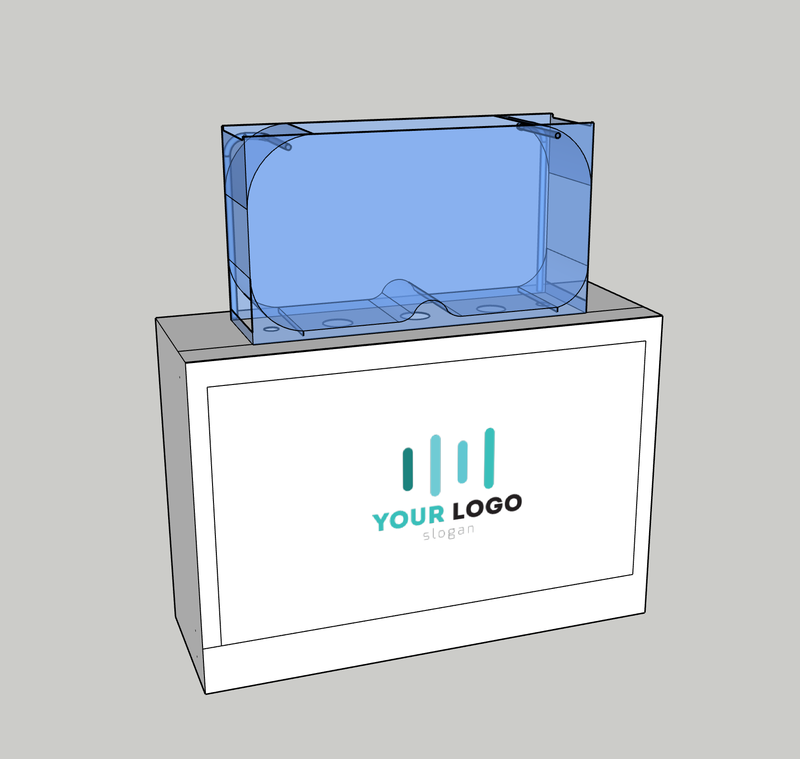 Input your presentation, video or slideshow via USB. 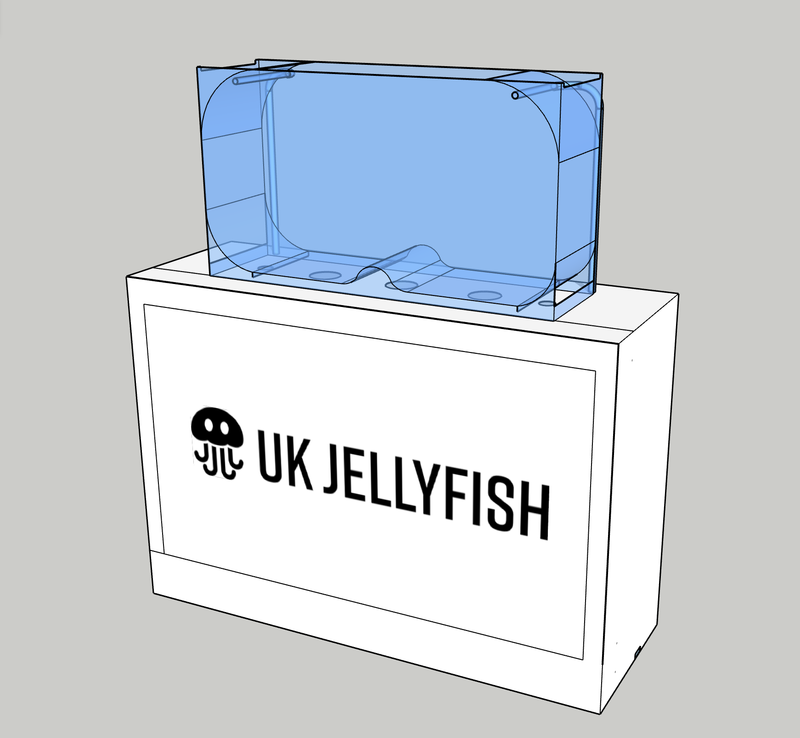 This Jellyfish Aquarium is designed to help your company stand out from the crowd and draw customers to your stand.